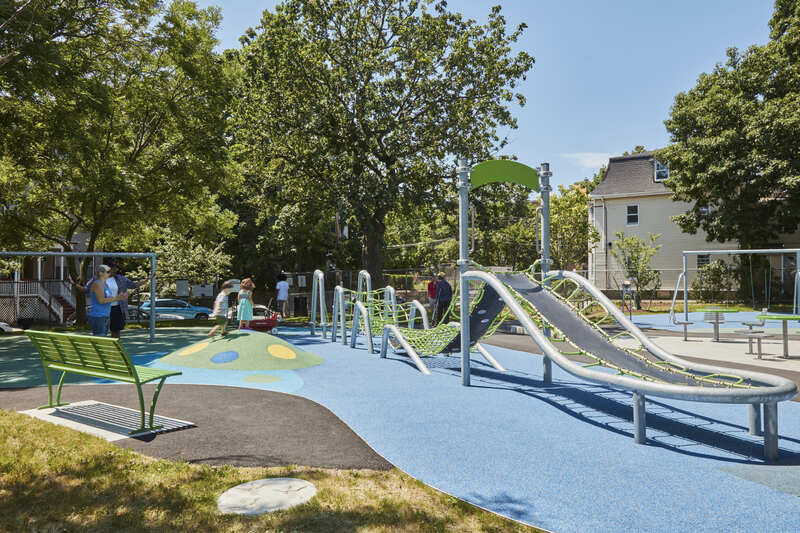 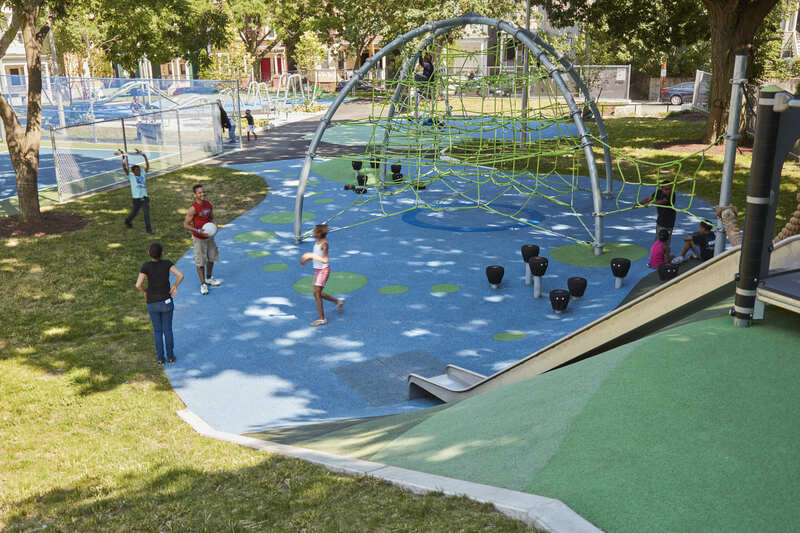 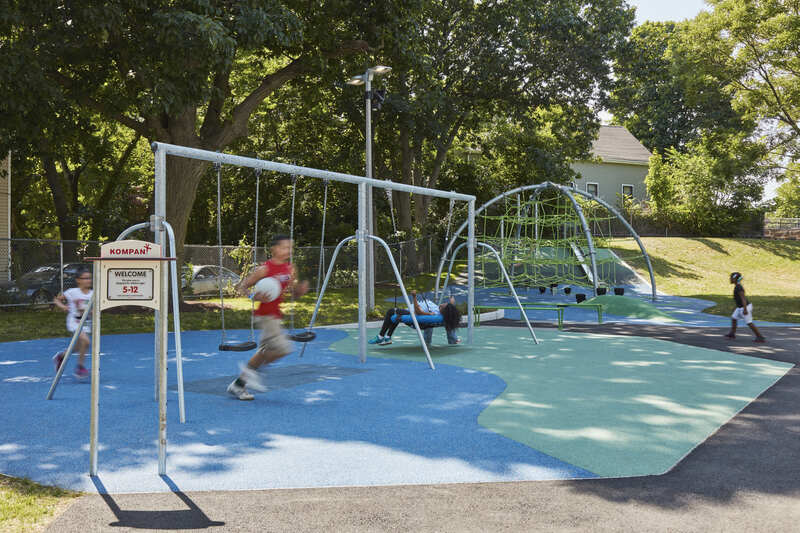 Located in the heart of Roxbury’s Dudley Square neighborhood, Little Scobie Playground is a cherished neighborhood community space, hosting favorite annual events like Easter egg hunts and sledding in the winter, in addition to serving as a year-round gathering and play space. 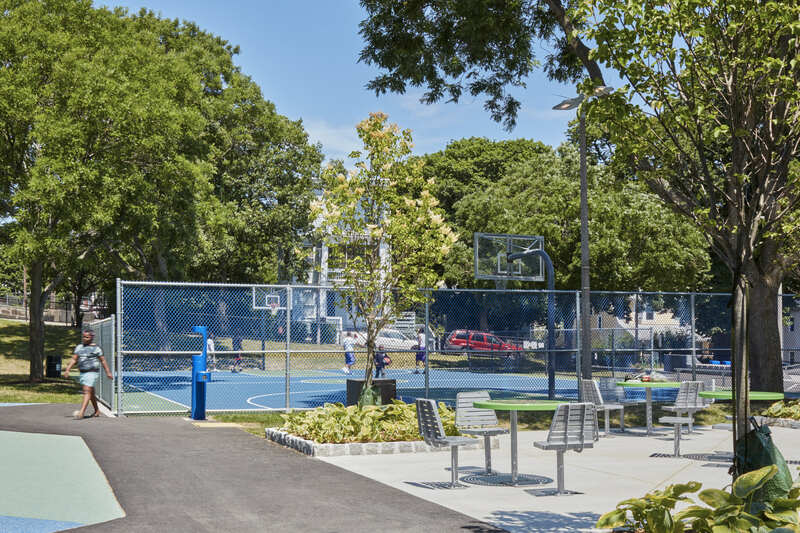 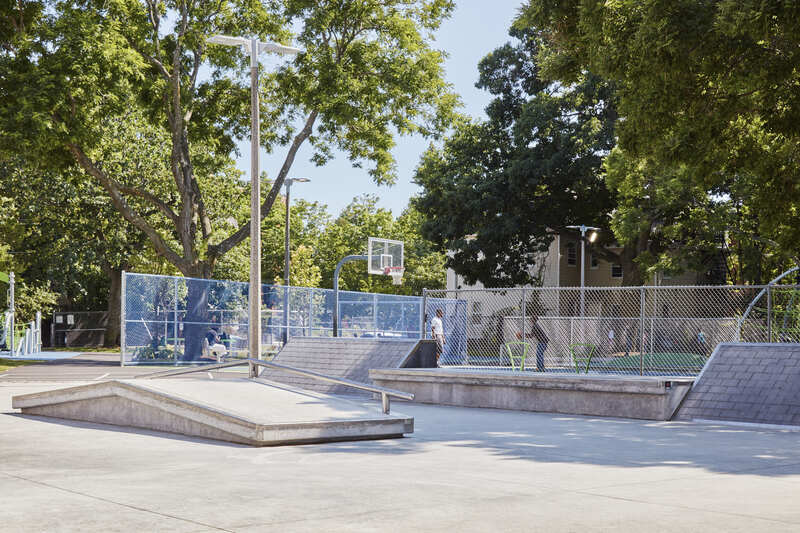 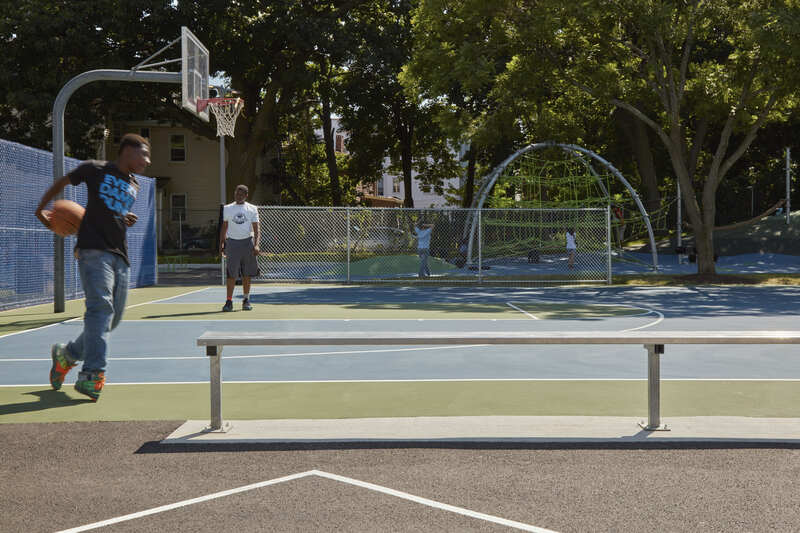 As part of the Boston Parks and Recreation Department’s capital improvements campaign, Warner Larson teamed up with California-based Spohn Ranch to add an all-new skatepark area in addition to an already diversified revitalization strategy. 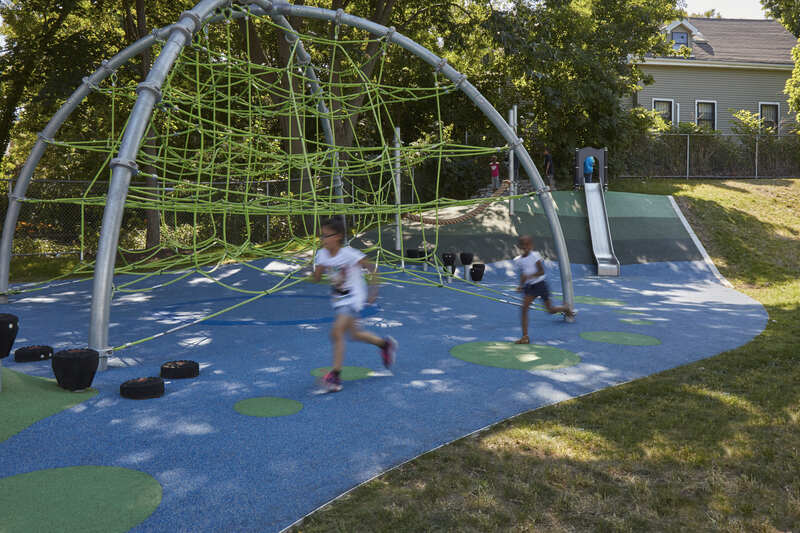 A new layout and equipment will maximize play value, enhance park beauty, and increase user safety. 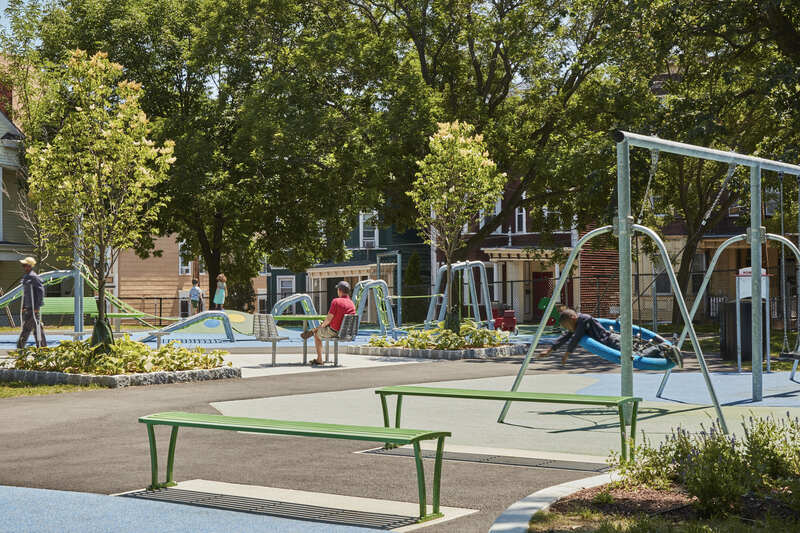 Most importantly, the new design serves to complement existing uses and preserve mature trees and legacy features, all of which will ensure this treasured space will continue to be a much-loved community asset for years to come.